Eucalyptus trees are quick growers and many species reach a great height. Eucalyptus amygdalin is the tallest known tree, specimens attaining as much as 480 feet, exceeding in height even the Californian Big Tree (Sequoia gigantea). Many species yield valuable timber, others oils, kino, etc. The oils may be roughly divided into three classes of commercial importance: (1) the medicinal oils, which contain substantial amounts of eucalyptol (also known as cineol); (2) the industrial oils, containing terpenes, which are used for flotation purposes in mining operations; the aromatic oils, such as E. citriodora, which are characterized by their aroma. The essential Oil of Eucalyptus used in medicine is obtained by aqueous distillation of the fresh leaves. It is a colourless or straw-coloured fluid when properly prepared, with a characteristic odour and taste, soluble in its own weight of alcohol. 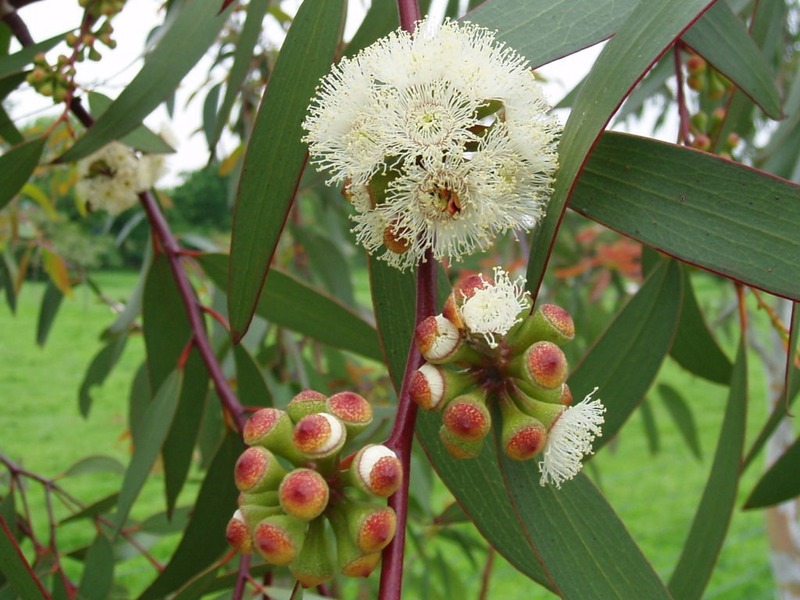 The most important constituent is Eucalyptol, present in E. globulus up to 70 per cent of its volume. It consists chiefly of a terpene and a cymene. Eucalyptus Oil contains also, after exposure to the air, a crystallizable resin, derived from Eucalyptol. A small amount of medicinal oil is still distilled from E. globulus, but Its odour is less agreeable than those of many others. Today, E. polybractea (Silver Malee Scrub which is cultivated and the oil distilled near Bendigo in Victoria), containing 85 per cent of Eucalyptol, and E. Smithii (Gully Ash) are favourites for distillation. Among others frequently employed, E. Australiana yields a valuable medicinal oil and also E. Bakeri, a large shrub or pendulous willow-like tree, about 30 to 50 feet high, with very narrow leaves, found from northern New South Wales to central Queensland, known locally as the ‘Malee Box.’ The oil from this species is of a bright reddish-yellow and contains 70 to 77 per cent of Eucalyptol and other aromatic substances identical with those found in E. polybractea. 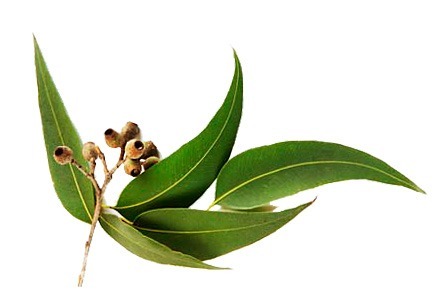 Of the perfume-bearing oils, that of E. citriodora, the CITRON-SCENTED GUM, whose leaves emit a delightful lemon scent, contains up to 98 per cent of citronellol and is much used in perfumery, fetching four times as much as the medicinal oils. E. Macarthurii (‘Paddy River Box’) contains up to 75 per cent of geranyl acetate, and as a source of geraniol this tree would probably repay cultivation: it is now receiving special attention in Australia, as it is a very rapid grower. E. odorata yields also an odorous oil used by soapmakers in Australia. E. Staigeriana, the Lemon-scented Iron Bark, has also a very pleasing scent, and the fragrance of the leaves of E. Sturtiana is similar to that of ripe apples. The oil is an ingredient of ‘catheder oil,’ used for sterilizing and lubricating urethral catheters. The dose of the oil is 1/2 to 3 minims. Eucalyptol may be given in similar doses and is preferable for purposes of inhalation, for asthma, diphtheria, sore throat, etc. E. nostrata and some other species of Eucalyptus yield Eucalyptus or Red Gum, a ruby-coloured exudation from the bark (to be distinguished from Botany Bay Kino).